What is unique about the book? I think the book is unique in that it is set in a very unusual location, and a setting that actually exists. The folly is under a real lake (in Surrey) and there isn't another one in the world that is under water, to my knowledge. Also, the protagonist is based on a real life character who is interesting for historical reasons. He swindled millions of pounds and was instrumental in funding the Baker Street and Waterloo Railway (now London's Bakerloo line), before being sentenced to 7 years imprisonment but taking a cyanide pill in the ante room of the court and killing himself. Also of interest is the fact that after his death the estate was bought by Lord Pirrie who was instrumental in the building of The Titanic. 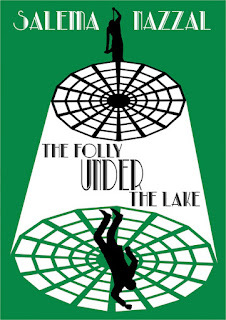 Readers would benefit from reading The Folly Under the Lake if they are interested in whodunits, and trying to work out who the murderer is. Also, it would be of interest to those who are interested in historical (1920 - 1930) mysteries that are based on factual characters. My journey to writing the book was brought about by my deep interest in the life of Whitaker Wright, which spanned a few years. I researched his life as much as I could, even going to talk to a historian about him. I was all set to write a true non-fiction account of his life but after going on a crime writing course I decided to make a fictional whodunit based on him and his folly.